It’s true that playing more board games will make you a better board game developer. However, when you’re first getting started, you might not even be sure if you’re into board gaming at all. Even if you are into board gaming, you may not have the cash on hand to buy a whole bunch of new games. To help you get started in your board game development journey, I’ve made a list of five classic board games which you can pick up, all combined, for just $64.63. All are great games, but I’ve made this list specifically based on three criteria that I think work to your benefit. 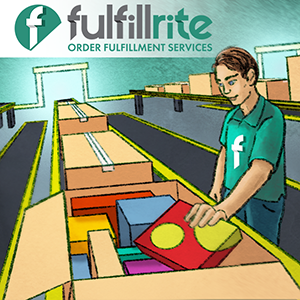 Each one is readily available and have a large community that likes to talk about them. All these games together will teach you a wide variety of mechanics. Catan is the premiere game of the hobby board game market. When it came out in 1995, it was just about the best game around. 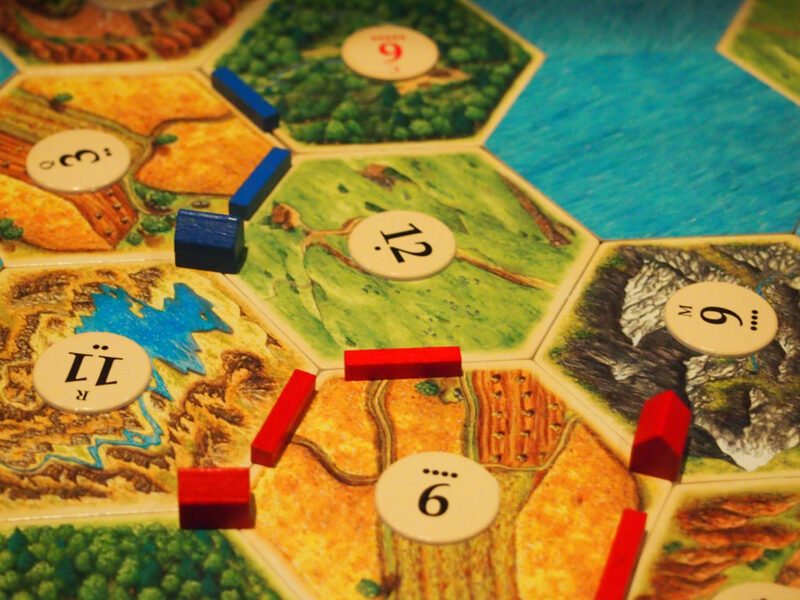 Catan has a mixed reputation within the modern board game market because it’s old and because so many groups have played it to death. If you’re just getting into board gaming, though, you can pick up a copy of Catan at practically any thrift store for around $3.00 if you don’t mind the occasional missing piece. This is a neat way to introduce brand new board game devs to odd concepts like modular boards – that is, boards that do not have the same form every time you play. Catan changes the shape of its island every time you play. The resources you can readily access change as well, as will you trading strategy. Pandemic is the game that made me get into board gaming. I’ve spoken at length about how I admire the way it’s designed. The reason I recommend this game is because it’s cooperative, which is kind of mind-blowing if you’ve only played competitive board games like I had prior to picking this up. The basic idea is that you work together with other players to keep diseases at bay for long enough to cure them. This is quite tricky because your ability to move and respond is quite limited and the diseases have a way of multiplying very quickly. There is a lot of depth to this game. 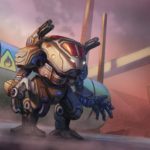 In addition to teaching you about cooperative gameplay, it will teach you about action point systems which require you to use a limited number of actions to maximize the effectiveness of your turn. Each player has a class like Medic, Researcher, or Scientist that allows them to use a different ability. Pandemic also teaches you hand management and set collection in a way that I consider deeper than Catan but while remaining overall very approachable. Photo by Alper Çuğun, posted to Flickr under CC BY 2.0 License. If I did not include a party game on this list, I would be remiss. 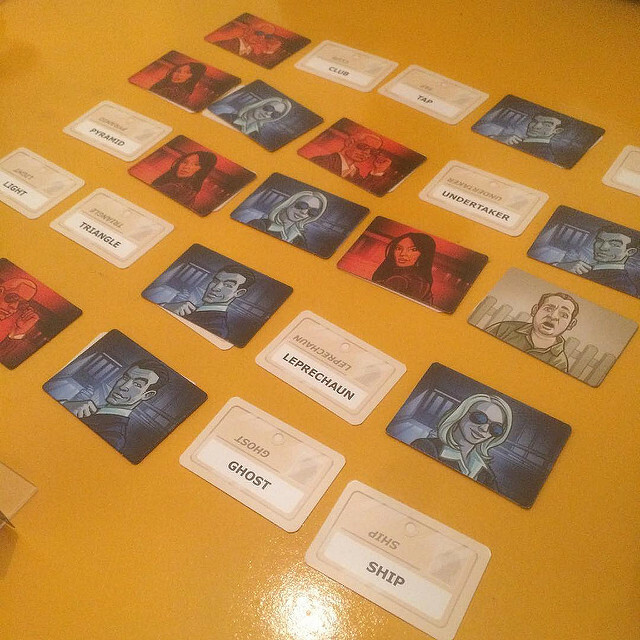 Codenames is a blast because it plays optimally around 6 or 8 players, whereas most games peak around 3 or 4. The core concept is dead simple: someone leads each team by giving them one word cues that are intended to associate with words laid out in a 5×5 grid. When your team lead gives a good clue word and the teammates make good guesses, you suss out the enemy spies. 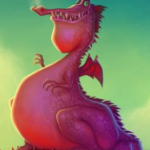 But if the clue word is not so hot, you might hit an innocent bystander…or worse. It’s really light and you’ll pick it up in about 5 minutes the first time play. Don’t study the mechanics of this game. Study people’s interactions with the game. 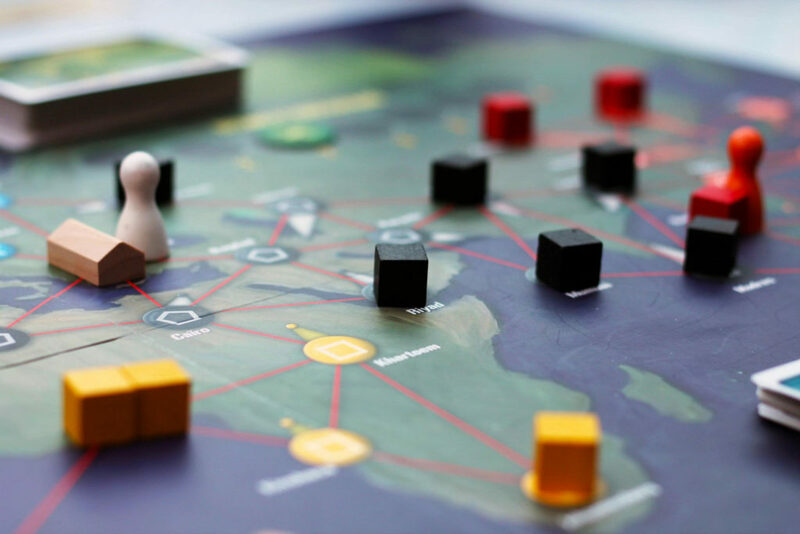 As a game dev, you need to play games like Catan and Pandemic to understand how to make game mechanics, but you also need to play games like Codenames to understand player behavior. Photo from Wikipedia, under the CC BY-SA 3.0 License. Carcassonne is a classic tile-laying game where you and your opponent take turns building the French countryside with cities, roads, cloisters, and fields. 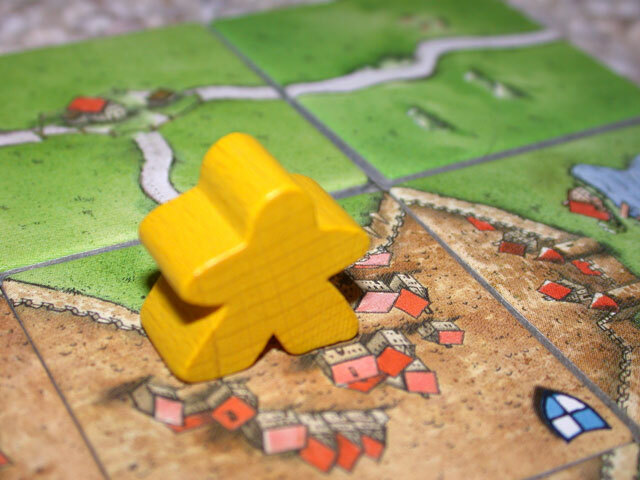 You gain points by placing some of your limited meeples in the right place at the right time. You can read my more in-depth post about the game here. What I want you to pay attention to as a game dev is how it accommodates different play styles. Sometimes it feels like an area influence / area control game along the lines of Risk. In other games, it feels very take-that, very cutthroat. Occasionally, it’s a friendly game where you and your opponent go your own separate ways. It’s very interesting that a game this simple and intuitive has so many viable strategies. I can scarcely even begin to describe Twilight Struggle in a couple of paragraphs. I love this game, and you can read about how I believe it masterfully maintains tension in this article. Long story short, it’s a 2-player game where you play as either the USA or the USSR – both of whom are eternally struggling to spread their ideology into the world at large. This game takes around 10 or 15 hours to learn. The learning curve is brutal. In fact, there is a 425 page strategy guide floating around online for free. There are a lot of reasons I recommend it to you. It was #1 on Board Game Geek for a long time. It’s available on Steam for $7.49 if you catch it at the right time. The AI is fairly robust, although you’ll outgrow it after about 20-25 games. You can play it all alone through the Steam app, which is fantastic if you’re just getting started and haven’t got any board game playing friends in town yet. There are some fascinating dynamics in this game. You play with hand full of cards – some of which are good for you and some of which are good for your opponent. When you get ones that are good for you, you can choose to play the event written on the card or use its points to influence or take over other countries. Likewise, when you get ones that are good for your enemy, you can use the points to influence or take over other countries BUT the event written on the card will benefit your opponent. This is just one of the cool dynamics in the game – there are many others. Do you know of other great games that new board game devs can pick up for cheap? Let me know in the comments. Star Realms should really be on this list, it teaches the basics of deckbuilding games and is a really cheap product. It also teaches people about resource management in great ways as well as how a good player will manipulate statistics by using the scrap or recycle mechanics in it! It also teaches most of what a literate card player would know! Hey Emelie! Good thinking! Star Realms is $13.61 on Amazon (just checked) and it’s a really good game. Red7 is simple and elegant and about ten bucks. Another good suggestion. Thank you! Good list. Very informative. These games have some mechanics that aspiring developers should definitely experience and understand. Some groundbreaking games might not be on sale, but would also be worth the money in terms of understanding design concepts. I would recommend Cosmic Encounter because it was about 30 years ahead of its time. It introduced more than one concept at the same time, for example variable player powers, modular boards, dice-less game play. Much like what Settlers and Carcassonne did for euro games, Cosmic Encounter did for American style games. I know it doesn’t fit with the list, coming in at $50 or so, but I wanted to give it an honorable mention for gam devs with American style games in mind. Hey Ian! Glad you like the list! Cosmic Encounter is definitely a really good game for game designers to play because it codified so many mechanics that are part of board gaming today. While it is somewhat more expensive and doesn’t fit on the list I made, you are right that the learning-to-price ratio is very high.